Ambassador Robert Flood's story of overcoming obstacles for the love of the sport. 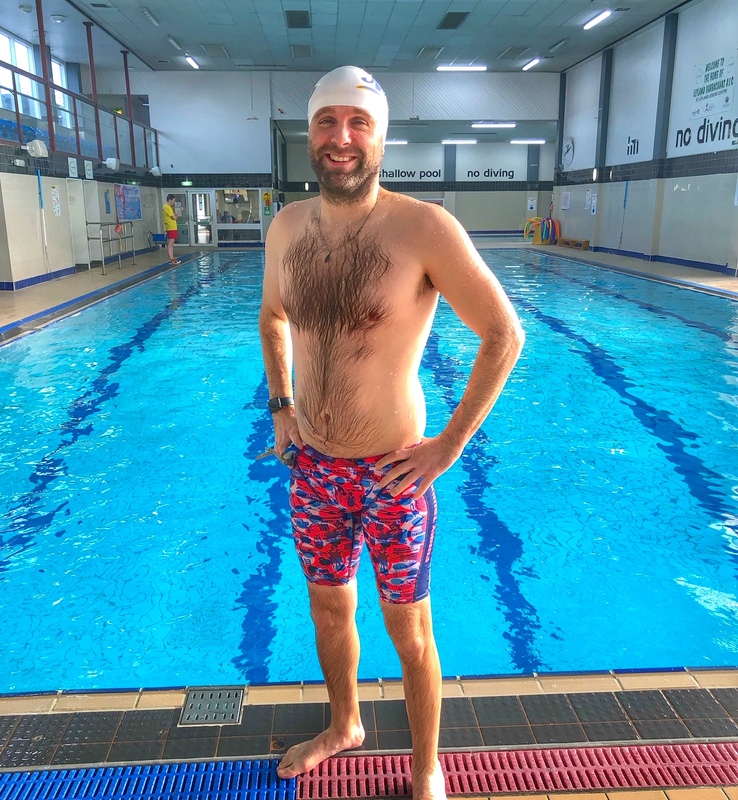 We’ve teamed up with Funky Trunks and UK-based MySwimPro Ambassador Robert Flood to share his story of how he’s kept up his training amidst a tough heel injury that kept him out of the pool for 3+ months. My name is Rob Flood (Floody), I live in Preston, about 40 minutes from Manchester (UK) and have been here for 4 years now. I live with my lovely wife Becky and our 3 children, Caleb who is 6 and twin girls Grace and Isobel, who are 3 years old. Windermere One Way – my priority for the year! May 18 – The Great Manchester Swim – A 3 mile swim around Salford Quays. 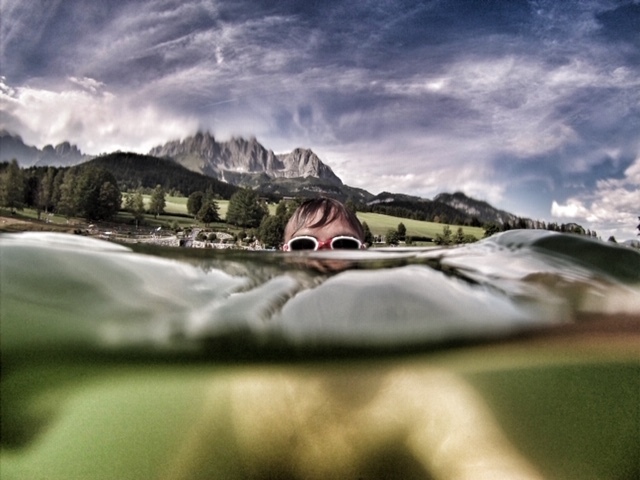 June 2 – The Epic Lakes Series Swim – Ullswater – A 3.8K swim on Ullswater in the Lake District with stunning surroundings. June 9 – Jubilee Swim – A 10K swim along the River Thames near Windsor. July 27 – Blackpool Pier to Pier – 1.6 mile swim in the original British Seaside town. I started swimming regularly back in May 2012 as part of a charity challenge for the company I was then working for at the time. Myself and a team swam the distance of the English Channel in a local pool. From memory I think we swam 50 lengths of a 25m pool each, which at the time was a lot for me. I learned to swim at a young age but never really looked it as a way to keep fit. I used to run and had completed several half marathons and 10K events, but having previously played football (soccer) regularly, I had a number of knee issues. I had several operations to remove cartilage and was told that I would develop osteoarthritis in my knees. It was only after completing the swim challenge that it made sense to swim more to lessen the effects on my knee. After this I started to swim maybe once or twice a week and have steadily built up my swimming from there but without any specific plans. 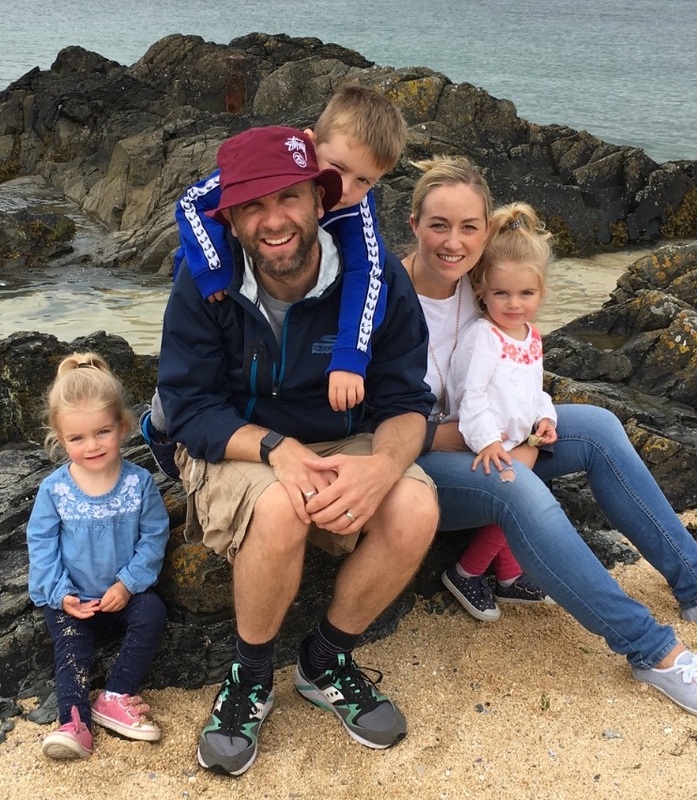 In April 2014 my wife and I decided to relocate from Reading in the South East of England to Preston in the North West of England and it was at this time that I really started to get into my swimming as a way of meeting new people and staying fit. I was now swimming in the pool 3-4 times a week, mostly first thing in the morning. The toughest part was that I was never swimming to a plan and it was just a case of getting in and swimming for an hour or so. I love swimming not just for the fitness side but also for the mental health side. I have for many years and do at times still suffer from mental health issues – depression and anxiety, and it’s been just over a year since I have been able to openly discuss the issues I have had with others. I know that swimming has helped immensely with this, giving me the time I need to reset my mind and I always feel a sense of calm once I have swam. My swimming went to the next level after my best friend and I decided to enter the 2016 Great Swim 10K event on Lake Windermere. I had never really swam in open water before this, apart from maybe at the beach when on holidays. I knew that to complete this it would take some serious swimming both indoor and outdoors. So over the next 6 months I got my first wetsuit and hit the open water as much as I could, thankfully there were some great facilities around me and a number of events close to hand. I completed the 10K swim in just under 3 hours and this has been my greatest achievement to date, even without any really specific training program in place. Subsequent to this, I have completed other events including 3.8K swims in various lakes in the Lake District, a 4K swim on Lough Lene in Ireland around the great Turgesius Island and a number of smaller night time firework lit swims which are spectacular. Up until my injury in September 2018 (which I’ll get to below, keep reading! ), I was swimming 3/4 times a week, normally 2 pool swims and 2 open water swims (when the temperature allowed). The pool swims were used for interval and technique training and this is where MySwimPro has really benefited me. Last year my goal was to be able to complete a sub 1-hour 3.8k swim and I managed this on June 3, 2018 at an event at Lake Ullswater. 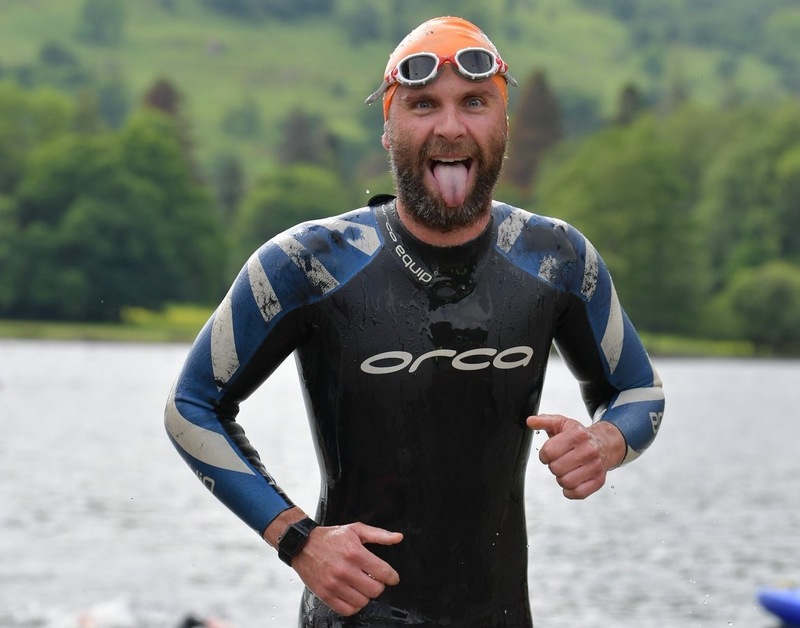 My plan going forward was to improve my time as well as increase my distance swims as I was hoping to complete the 10.5 mile length of Windermere in September 2019. 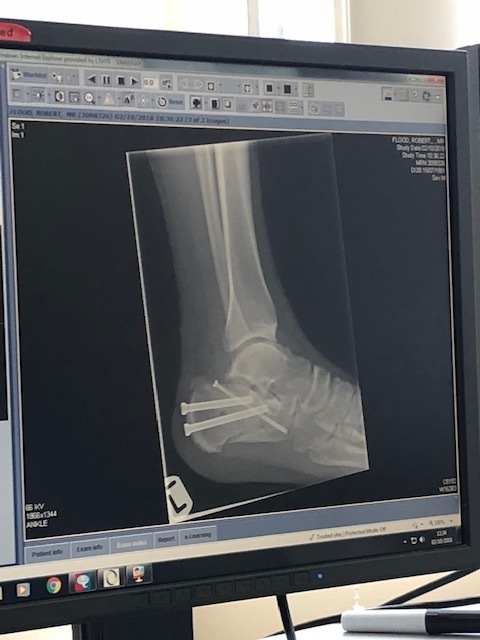 But then on September 7th, 2018 I had an accident which caused multiple fractures in my left heel bone. I had surgery on my heel on September 24, thus meaning I was unable to swim or be remotely active. To reduce swelling and help with healing I had to keep my foot elevated as much as possible. 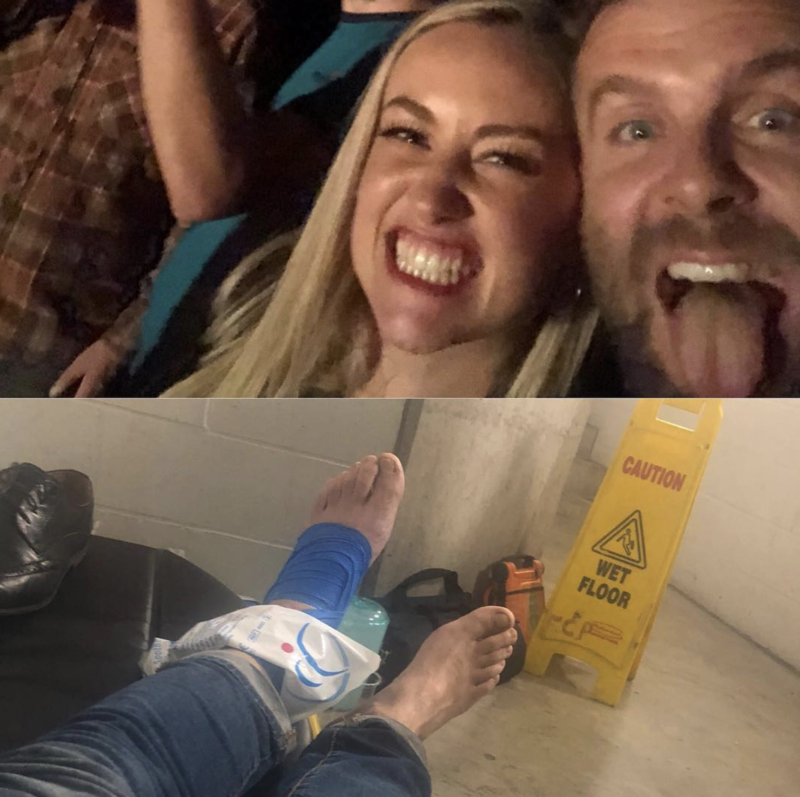 I had an upper body workout plan created by a friend who is a personal trainer, and this meant that I could still do some exercise while keeping my foot elevated. In my head I was hoping to be back on my feet by Christmas 2018 so I could enjoy it with my wife and 3 children and start to contribute to a normal house life again. On October 30, 53 days after my accident, my cast came off and I was put in a boot – but was still about 4 weeks away from weight bearing. At this time I started doing some light physiotherapy at home using resistance bands just to get some movement and strength back into my ankle. 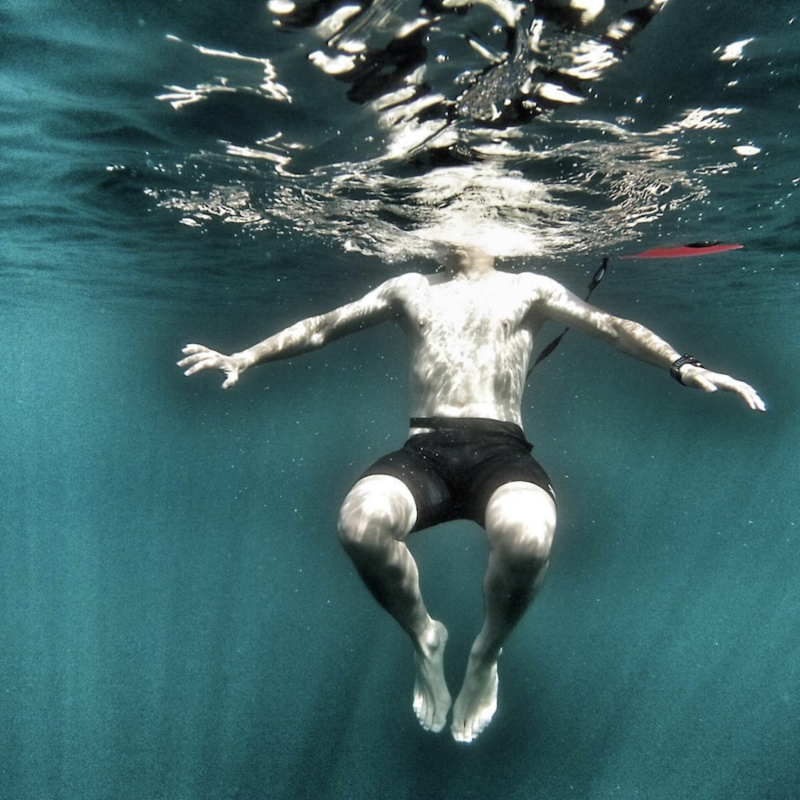 I knew that it was going to be a long road ahead and I needed some focus, so on October 27 I decided that I would enter the Windermere One Way Swim taking place on September 1. At this time I couldn’t even walk let alone get back in the pool. On November 27 I was given the “all clear” to start weight bearing, 4 weeks since my cast came off and 9 weeks a since my operation. 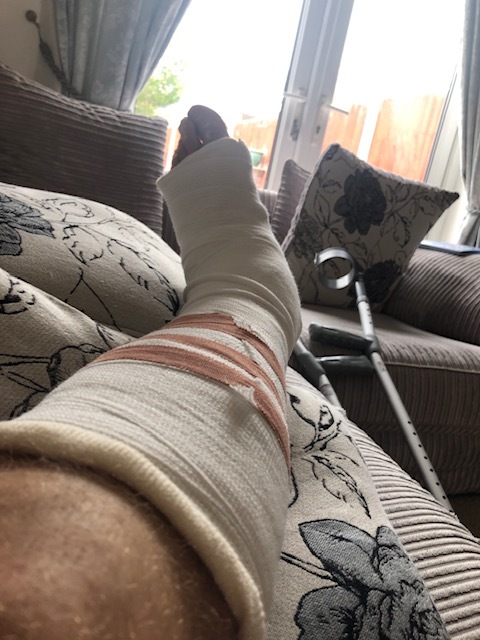 As I had expected, it wasn’t a case of just getting up and walking out, the muscles and tendons in my foot were very stiff I still had to rely on both crutches to get around, but at least I could start physio, which I did the very next day. I even managed to squeeze into a pair of trainers for the 1st time in 12 weeks. 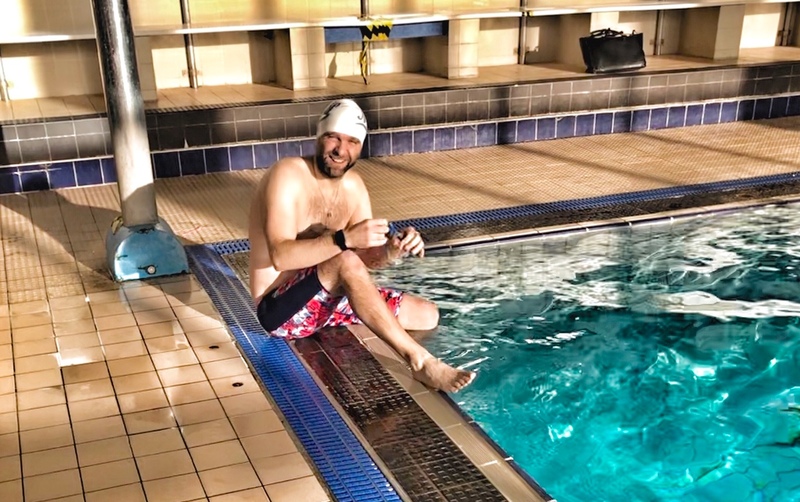 The next thing on my mind was to get into the pool, I managed this on November 29th, 85 days since my accident, it was only a short swim but a very rewarding and memorable one. The feeling of getting back in the water was exhilarating. At this time I was still unable to fully weight bear and had to crawl from the changing rooms to the pool (a bit like a crab) but the sense of freedom getting back in the pool will be something I will never forget. I swam for a full 24 minutes and it probably took longer than that to get changed and showered afterwards but it was well worth it. Since then I have been getting in the pool as much as I can. Having to rely on my wife to bring me to the pool while working full time from home and managing 3 children has been challenging but she has been unbelievable and I can’t thank her enough for persevering with me. I am now at the stage where I am using 1 crutch but doing more intense physio sessions and using the crutch less and less. Then I will be looking to get my independence back and looking to drive again, this will enable me to be more focused on my training plans for September. Recovery has been tough, and it’s been a long road, but I have always tried to look forward and do what I can without jeopardizing me recovery. The upper body workouts have really helped with this and have given me some focus. Once I am able to drive again, I will be back to training with MySwimPro (and my new Funky Trunks suit) to steadily increase my distances in the pool and to get back to full fitness. My plan for the first 2-3 months of this year is to use the training plans to get myself back to full fitness. 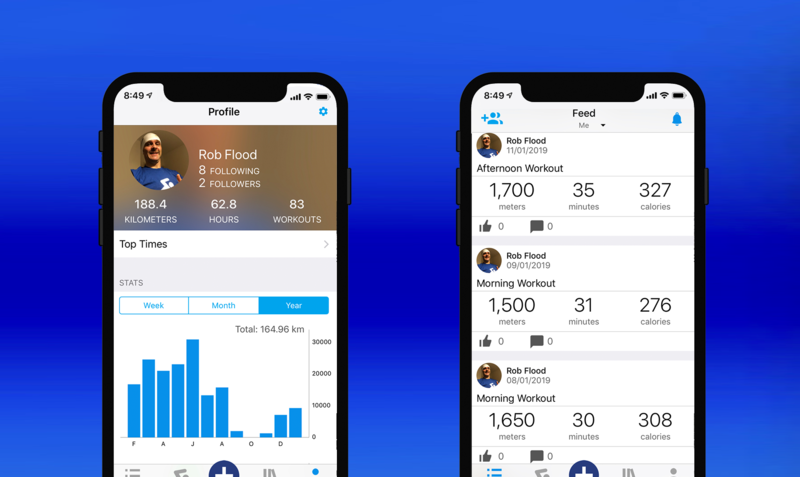 Then once I can get back in the open water 3-6 months, I will continue to use MySwimPro to record my open water swims and track my analytics. For me, I didn’t rush. I did what I could at home while waiting for my injury to heal enough to avoid making things worse or jeapardizing the healing process by doing too much. I also came to the realization that once I did get back in the pool that I would have to take things easier. This was normally due to the fact that I needed assistance getting to the pool and that if I could swim for 20 minutes, then it was 20 minutes more than I could while injured, and that it would take time to get back to the levels that I had set myself at. During my recovery I watched a film called Kim Swims about the Kimberley Chambers challenge to swim from San Francisco bay to the Farallon Islands. Kim was only given 1% chance of walking again after a freak accident that left her with acute compartment syndrome in her right leg and she was only minutes from amputation. She has since managed to swim the Oceans 7 (being only the 3rd woman to do so) and is one of the most successful marathon swimmers in the world. The video is so inspirational and although I may not swim the feats that Kim has, if I can fast forward to September 2019 and have completed the Windermere One Way then I will be a happy man. Ready to take on 2019? Kick off your training with a new Funky Trunks swimsuit and MySwimPro ELITE. Use code ROB20 to take 20% off.  Archived in Gold Medal Moments. Bookmark the permalink.